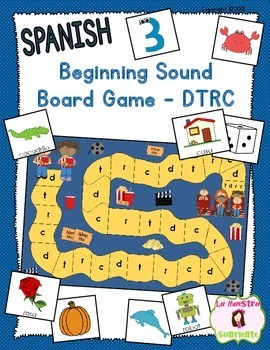 This game helps students to develop the ability hear and identify the beginning sounds of words that start with the D, T, R, and hard C sound. Students take turns choosing cards that contain a picture. Students say the word that the picture represents, identify the sound at the beginning of the word, and move to the nearest space with that letter on the game board. This pack includes one game board and two picture card options. One set of cards contains only pictures. The second set of cards has the same pictures but also has the word written on the card. 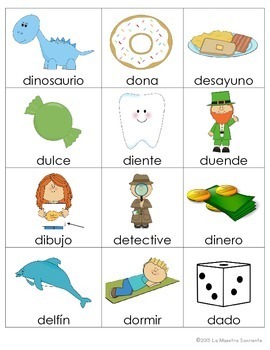 Please use whichever set works best for you and your students. 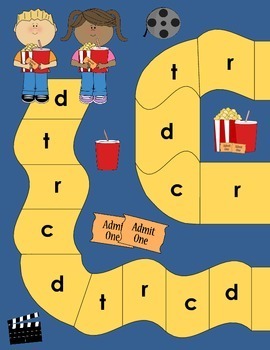 This game is perfect for students who are just beginning to develop letter sound awareness, which is a beginning step toward literacy. 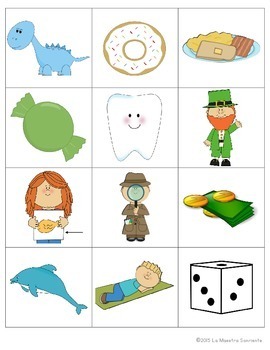 It makes for a great literature center or a fun guided reading lesson. Students will want to play this game again and again! Please go to your My Purchases page (you may need to login). Beside each purchase you'll see a Provide Feedback button. Simply click it and you will be taken to a page where you can give a quick rating and leave a short comment for the product. I value your feedback greatly as it helps me determine which products are most valuable for your classroom so I can create more for you.